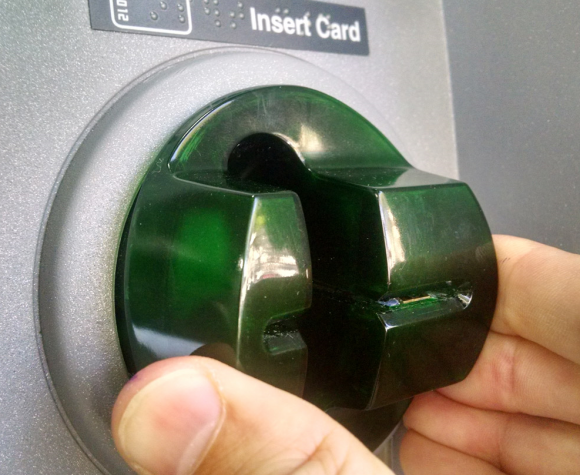 A greater number of ATM skimming incidents now involve so-called “insert skimmers,” wafer-thin fraud devices made to fit snugly and invisibly inside a cash machine’s card acceptance slot. New evidence suggests that at least some of these insert skimmers — which record card data and store it on a tiny embedded flash drive — are equipped with technology allowing them to transmit stolen card data wirelessly via infrared, the same communications technology that powers a TV remote control. Last month the Oklahoma City metropolitan area experienced rash of ATM attacks involving insert skimmers. The local KFOR news channel on June 28, 2017 ran a story stating that at least four banks in the area were hit with insert skimmers. 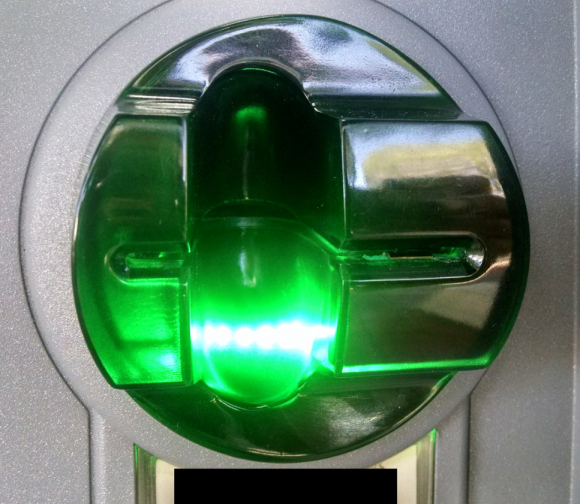 Financial industry sources tell KrebsOnSecurity that preliminary analysis of the insert skimmers used in the attacks suggests they were configured to transmit stolen card data wirelessly to the hidden camera using infrared, a short-range communications technology most commonly found in television remote controls. 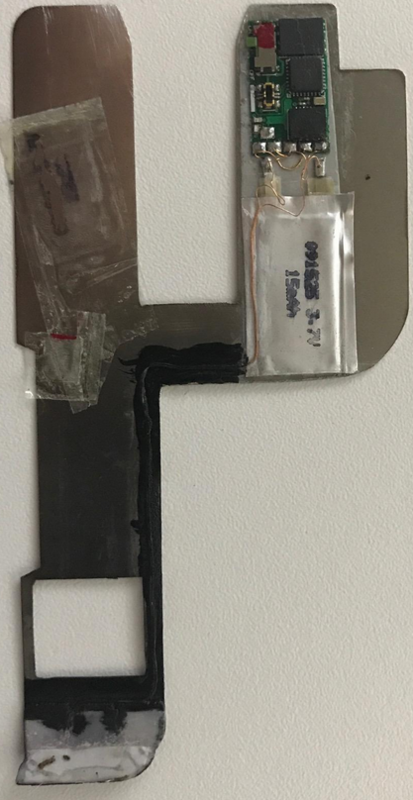 An insert skimmer retrieved from a compromised cash machine in Oklahoma City. 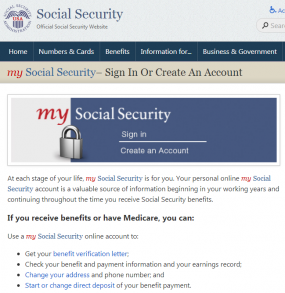 Image: KrebsOnSecurity.com. In such an attack, the hidden camera has a dual function: To record time-stamped videos of ATM users entering their PINs; and to receive card data recorded and transmitted by the insert skimmer. 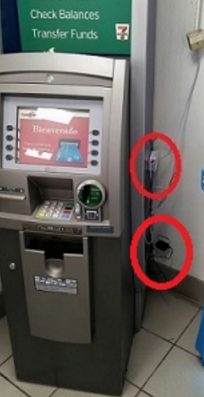 In this scenario, the fraudster could leave the insert skimmer embedded in the ATM’s card acceptance slot, and merely swap out the hidden camera whenever its internal battery is expected to be depleted. Of course, the insert skimmer also operates on an embedded battery, but according to my sources the skimmer in question was designed to turn on only when someone uses the cash machine, thereby preserving the battery. Viewed from less than two feet away, this ATM looks reasonably safe to use, right? 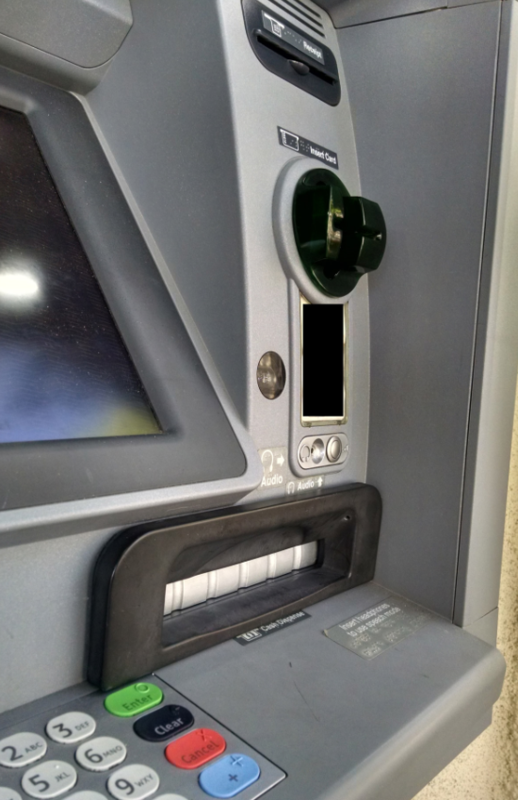 Although it may be difficult to tell from even this close, this ATM’s card acceptance slot and cash dispenser are both compromised by skimming devices. 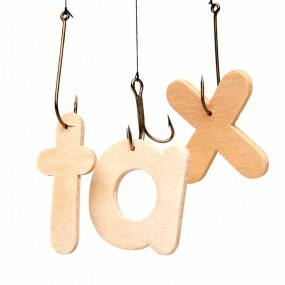 But something fishy comes into view when we change our perspective slightly. Can you spot what doesn’t belong here? Can you spot what doesn’t belong here? A closeup of the tiny pinhole that allows a mini spy camera embedded in the fake cash dispenser bezel to record customers entering their PINs. 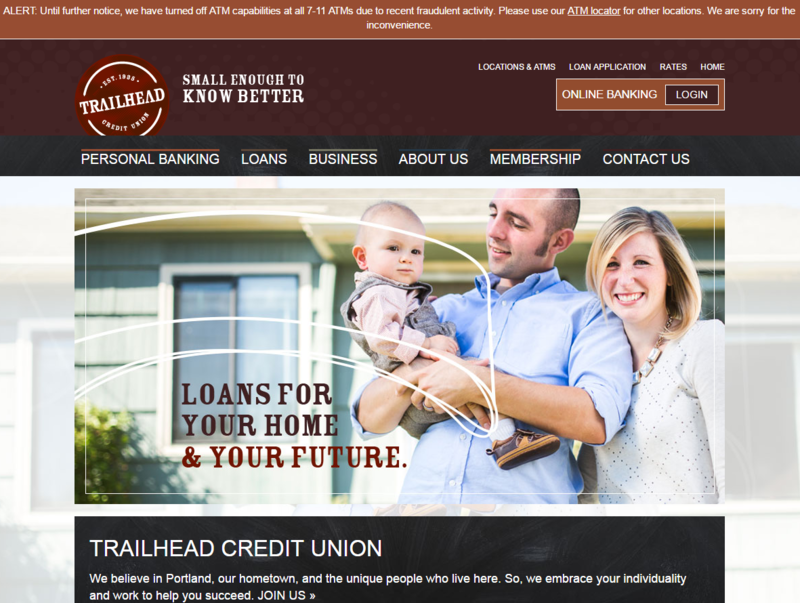 How about the card acceptance slot? Looks legit (if a tad shinier than the rest of the ATM), right? What happens if we apply a tiny bit of pressure to the anti-skimming green bezel where customers are expected to insert their ATM cards? Look at that! The cheap plastic bezel that skimmer thieves placed on top of the real card acceptance slot starts to pull away. 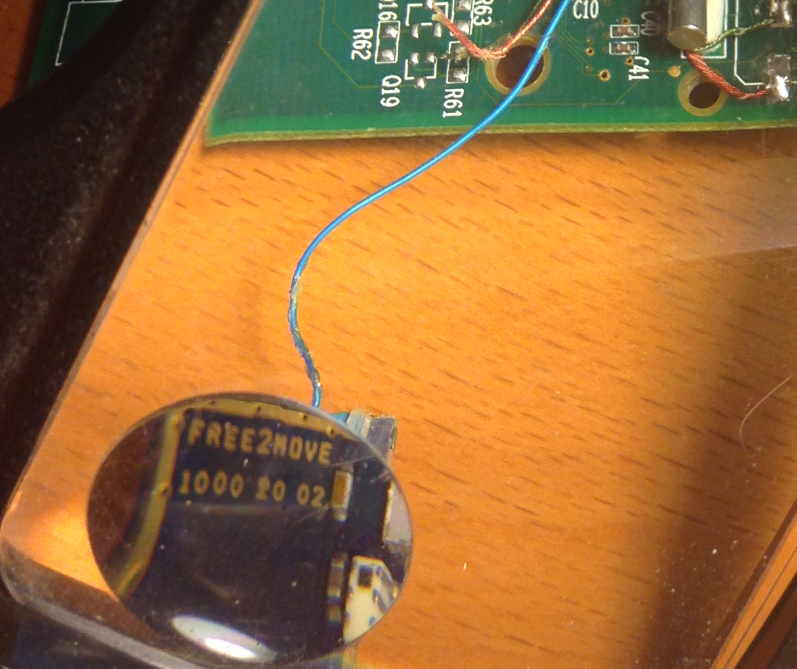 Also, you can see some homemade electronics that are not very well hidden at the mouth of the bezel. Notice the left side of this card skimmer overlay starts to pull away from the rest of the facade when squeezed. Also note the presence of a circuit board close to the mouth of the fake bezel. Would You Use This ATM? 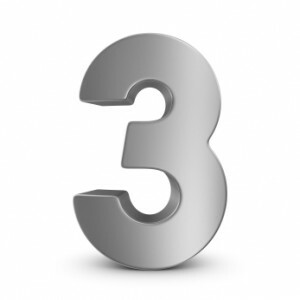 One basic tenet of computer security is this: If you can’t vouch for a networked thing’s physical security, you cannot also vouch for its cybersecurity. 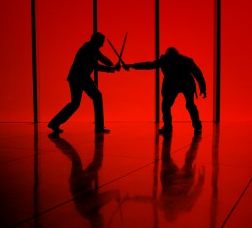 That’s because in most cases, networked things really aren’t designed to foil a skilled and determined attacker who can physically connect his own devices. 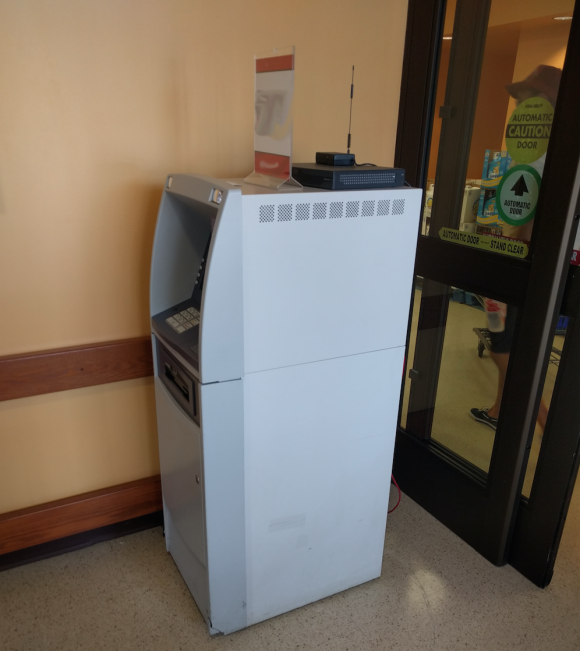 So you can imagine my shock and horror seeing a Cisco switch and wireless antenna sitting exposed atop of an ATM out in front of a bustling grocery store in my hometown of Northern Virginia. 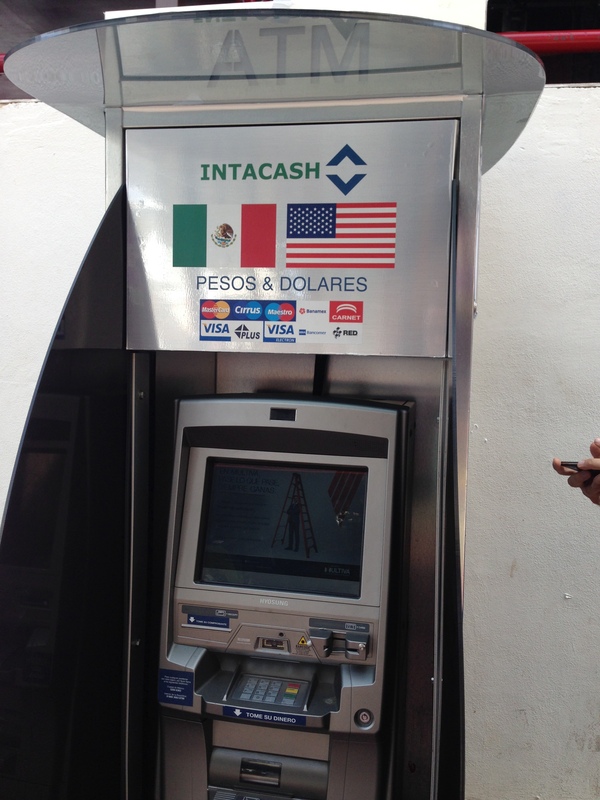 I’ve long warned readers to avoid stand-alone ATMs in favor of wall-mounted and/or bank-operated ATMs. In many cases, thieves who can access the networking cables of an ATM are hooking up their own sniffing devices to grab cash machine card data flowing across the ATM network in plain text. An ATM in front of a grocery store in Northern Virginia. 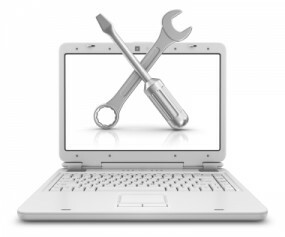 Need to get online in a jiffy? No problem, this ATM has plenty of network jacks for you to plug into. What could go wrong? Daniel Battisto, the longtime KrebsOnSecurity reader who alerted me to this disaster waiting to happen, summed up my thoughts on it pretty well in an email. 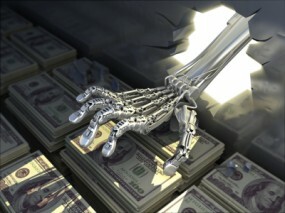 Skimming attacks on ATMs increased at an alarming rate last year for both American and European banks and their customers, according to recent stats collected by fraud trackers. The trend appears to be continuing into 2016, with outbreaks of skimming activity visiting a much broader swath of the United States than in years past. 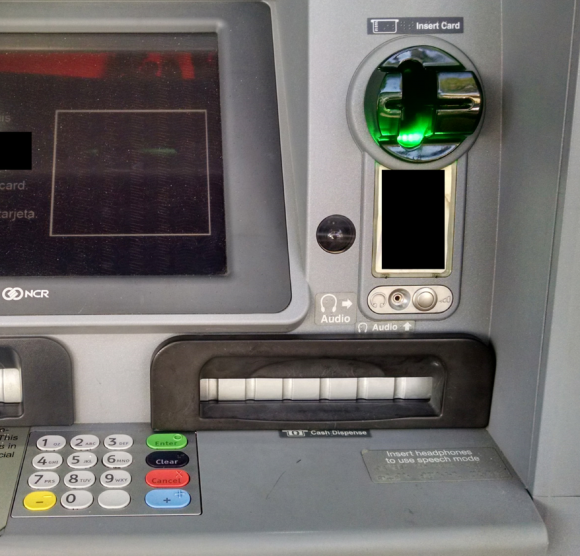 Two network cable card skimming devices, as found attached to this ATM. 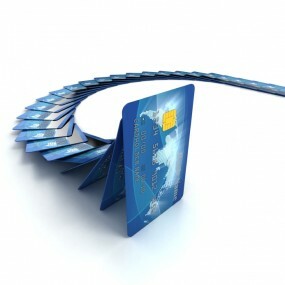 In a series of recent alerts, the FICO Card Alert Service warned of large and sudden spikes in ATM skimming attacks. 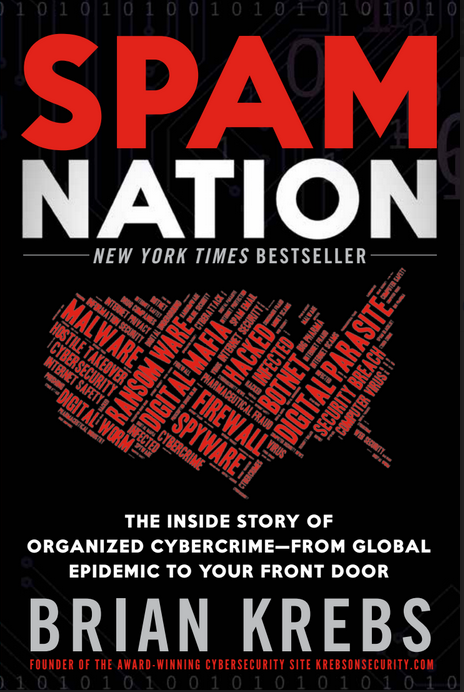 On April 8, FICO noted that its fraud-tracking service recorded a 546 percent increase in ATM skimming attacks from 2014 to 2015. 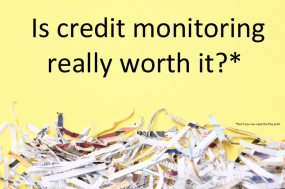 While 2014 saw skimming attacks targeting mainly banks in big cities on the east and west coasts of the United States, last year’s skimming attacks were far more spread out across the country, the FICO report noted. 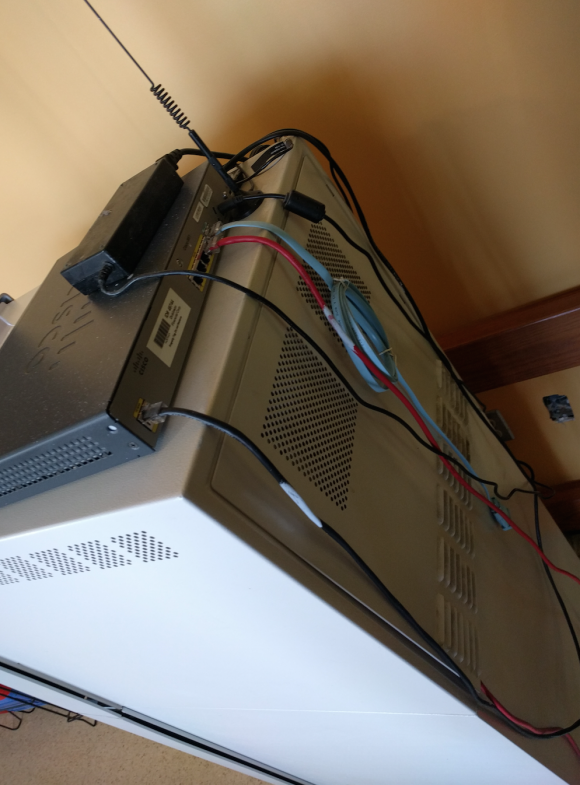 Earlier this year, I published a post about skimming attacks targeting non-bank ATMs using hidden cameras and skimming devices plugged into the ATM network cables to intercept customer card data. The skimmer pictured in that story was at a 7-Eleven convenience store. Since that story ran I’ve heard from multiple banking industry sources who said they have seen a spike in ATM fraud targeting cash machines in 7-Elevens and other convenience stores, and that the commonality among the machines is that they are all operated by ATM giant Cardtronics (machines in 7-Eleven locations made up for 17.5 percent of Cardtronics’ revenue last year, according to this report at ATM Marketplace). Trailhead Credit Union has stopped allowing members to withdraw cash from 7-11 ATMs. 7-Eleven did not respond to requests for comment. Cardtronics said it wasn’t aware of any banks blocking withdrawals across the board at 7-11 stores or at Cardtronics machines. 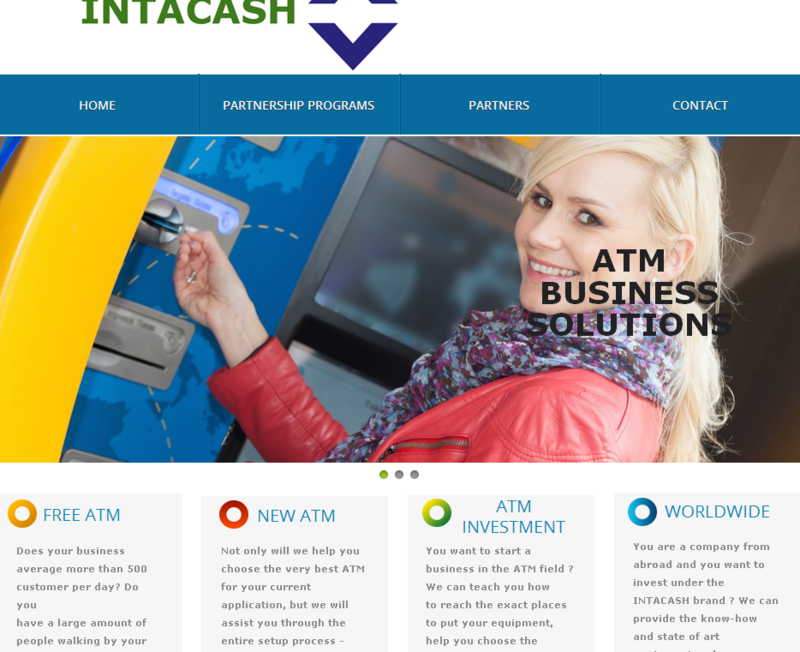 If you have ever walked up to an ATM to withdraw cash only to decide against it after noticing a telephone or ethernet cord snaking from behind the machine to a jack in the wall, your paranoia may not have been misplaced: ATM maker NCR is warning about skimming attacks that involve keypad overlays, hidden cameras and skimming devices plugged into the ATM network cables to intercept customer card data. In an alert sent to customers Feb. 8, NCR said it received reliable reports of NCR and Diebold ATMs being attacked through the use of external skimming devices that hijack the cash machine’s phone or Internet jack. 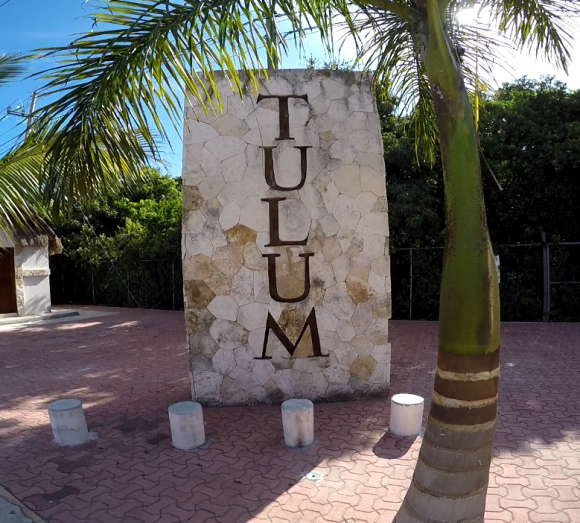 The ATM maker believes these attacks represent a continuation of the trend where criminals are finding alternative methods to skim magnetic strip cards. 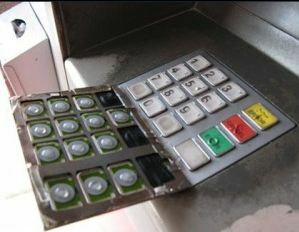 Such alternative methods avoid placing the skimmer on the ATM card entry bezel, which is where most anti-skimming technology is located. Most of us know to keep our guard up when withdrawing cash from an ATM and to look for any signs that the machine may have been tampered with. 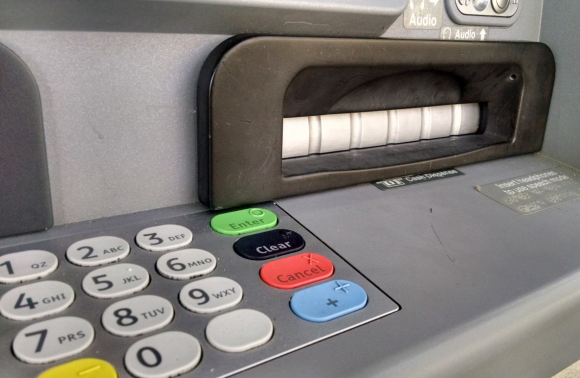 But ATM fraud experts say they continue to see criminal innovations with “insert skimmers,” wafer-thin data theft devices that fit inside the ATM’s card acceptance slot and do not alter the outward appearance of a compromised cash machine. 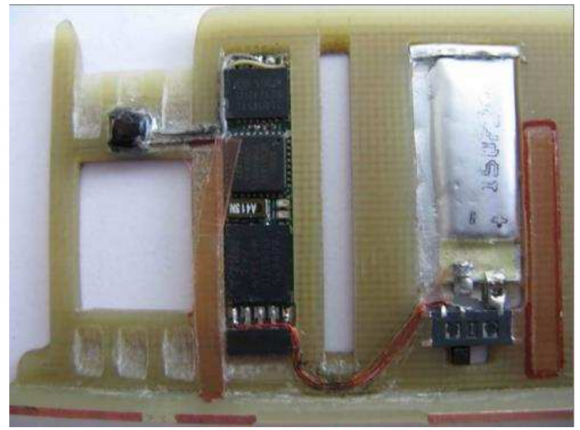 The insert skimmer pictured below was recently pulled from an ATM in Europe. 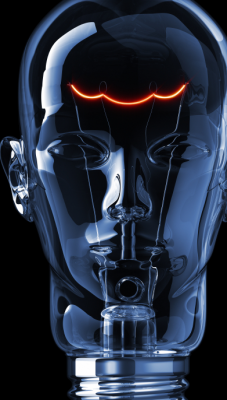 According to a report by the European ATM Security Team (EAST), this type of device is inserted through the card reader throat and then sits inside the card reader capturing the data of cards that are subsequently inserted. An insert skimmer. Image: EAST. 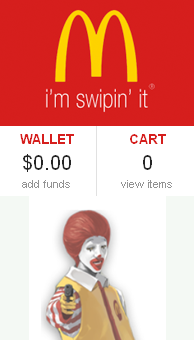 Of course, an insert skimmer alone isn’t going to capture your PIN. For that, thieves typically rely on cleverly hidden tiny cameras. Often, the spy camera is tucked inside a false panel above or directly beside the PIN pad. But as I’ve noted in stories about skimming attacks that never touch the ATM (such as vestibule door skimmers), crooks often get very creative, hiding cameras behind things like convex mirrors — or even phony fire alarms. 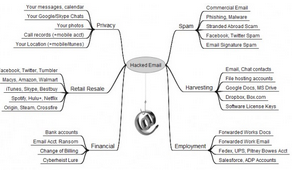 The image below was captured last year by a U.S.-based bank’s own ATM security camera. 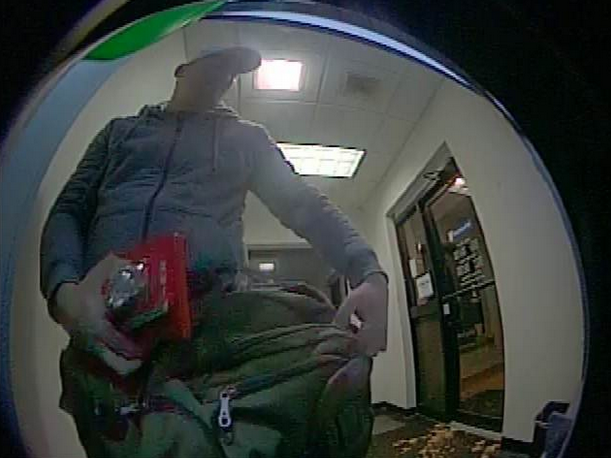 It shows a skimmer scammer getting ready to install a tiny camera hidden inside of a fake fire alarm. Hidden cameras made to work in tandem with skimming devices need not be hidden on the compromised ATM itself.